Add sophisticated and modern styling to your bedroom with this elegant dresser. 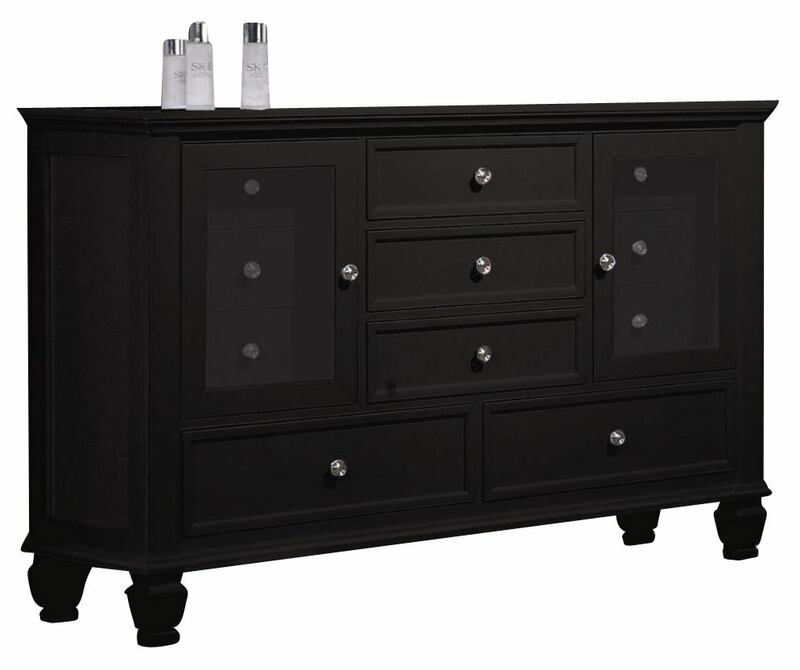 The dresser offers eleven drawers for ample storage. Each drawer is made using solid dove tail construction and fully extends allowing for easy access to personal belongings. Featuring bun feet, and silver color hardware, this dresser will create a relaxed and inviting retreat for either your master or guest bedroom.